Did you know Ireland is the birthplace of Halloween?! It was the Celtic festival of Samhain that first inspired the holiday we know today, and there's no place better to spend the scariest time of the year! 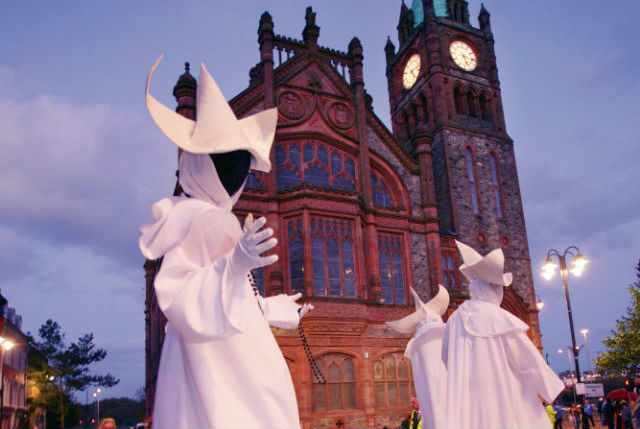 Having been voted the best place in the world to celebrate Halloween, Derry~Londonderry has a long legacy of spook-tacular celebrations. During the DerryHalloween festival, people prowl beneath the city's 400-year-old walls as ghouls, ghosts and witches. With parties, parades, live music and delicious food and drink, we think you'll be well able to handle the spine-tingling goings-on at one of the haunted tours. Boo! Coming to Ireland in autumn?